I also have a give away at the end. Love this coffee set would love to win it Hetty-love your blog and all your ideas!! Goeie genade Hetty wat een allemachtig, prachtige set is dit. En dat je dit zomaar weggeeft. Ik hoop dat de gelukkige winnaar er veel, heel veel kaarten mee gaat maken, en misschien ook wel in een Art Journal gaat verwerken. Oo ja natuurlijk zou ik dit graag willen winnen maar ok er zijn veeeeeeeeeeeeel meer liefhebbers hahahaha. Succes meissie met het loten van de winnaar. Ik zit al te duimen, nou nee niet de hele avond maar zo nu en dan wel effies. Hetty, what a great year in review! I love all the color you have used on your cards!! Happy 2017!! Thanks for another GREAT year, Hetty. I thoroughly enjoy ALL your cards, & often(as i am Now) having a Cup'a with you while checking them out. Praying this beautiful New Year will be Happy, Healthy, Prosperous, Productive & Creative for all. Those stamps would be SO much fun to play with and create! Thanks for sharing all those great cards. They are super inspiring! Love all your stuff. Thanks for hosting the give-a-way! I enjoyed seeing your cards today; all of them are wonderful! As a fellow coffee lover, I especially appreciate your coffee cards. Would you believe I've been trying forever to purchase the stamps in your giveaway today? Somehow whenever I place an order for the Whimsical Owls and Hetty's Coffee Cup, they're always out of stock. Maybe today will be my lucky day! Wishing you a wonderful, Happy New Year, Hetty! Aw, I've always loved Michael Strong and you've done some gorgeous things with his stamps this year! Beautiful collection of cards! Happy New Year and thanks for the chance to win. Best Wishes for 2017 to you and your family! Best Wishes for a happy and healthy 2017 to you and your family! Wow! Awesome cards!!! Thank you for this chance to win this beautiful stamp set!!! I'm already your follower! Happy New Year Hetty!!! Such diverse, wonderful cards Hetty. Thank you for sharing them. wow, this is great collection, what a year! You make beautiful cards Hetty- love your creativity! Wonderful year review! Happy New Year Hetty. The review of your cards was fun to see. Such inspiration. 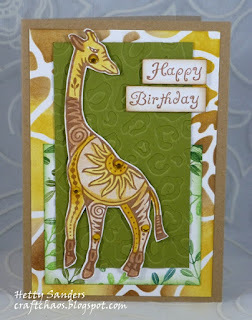 I enjoy your scrap pages too, especially the ones with your grandchildren - how fast they are growing. I haven't had a lot of time to stamp lately, but I do enjoy seeing what you and others are doing. Hetty, how fun to look back at your beautiful artwork! I love your style of art! Your color combos and the layouts and embellishments always look so perfect together! I love the scrap page and picture frame you created with the twins and Raymond. So fun to look back and see how the kids have grown! Thanks for the journey down your artistic memory lane! Always enjoy your posts even though I do not comment often. Love all the coffee cards and have daughter-in-law who loves it as much as you do! Thanks for a chance to win this great set ! 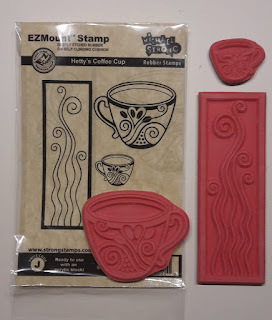 I bought this same stamp set years ago (after seeing your cards made with it!) but I lost it somewhere. Have never been able to find it with my coffee and tea stamps or anywhere else. Bahhh!! Would love to win your drawing. I just love the Bokeh effect on the new year card - such a clever look. Your cards are always such a joy to see in my feed. TFS your great techniques! You know I love your cards Hetty, and it is great to see you year in review. Thank you for the opportunity to win your blog candy. Isn't it fun to look back at the year and see how we've grown and changed? You've had a stellar year! Thanks for doing the giveaway. You are such a kind person, Hetty. Awesome cards, could mnot get your blog to load..just kept spinning! I'm going theo try a different way, would love to follow you. Great talent!!! A wonderful collection of cards Hetty...as always you give us lots of inspiration...thank you and Happy New Year! Wonderful to see you creations again. All so creative. You are one amazingly talented woman, Hetty! Love all your creations, especially that cute February Snowman card! Hetty you have so many beautiful cards!! I love that tea cup stamp set! Thanks for the chance to win one! Happy New Year to you! I hope 2017 brings you much joy, love and happiness! I am a follower! 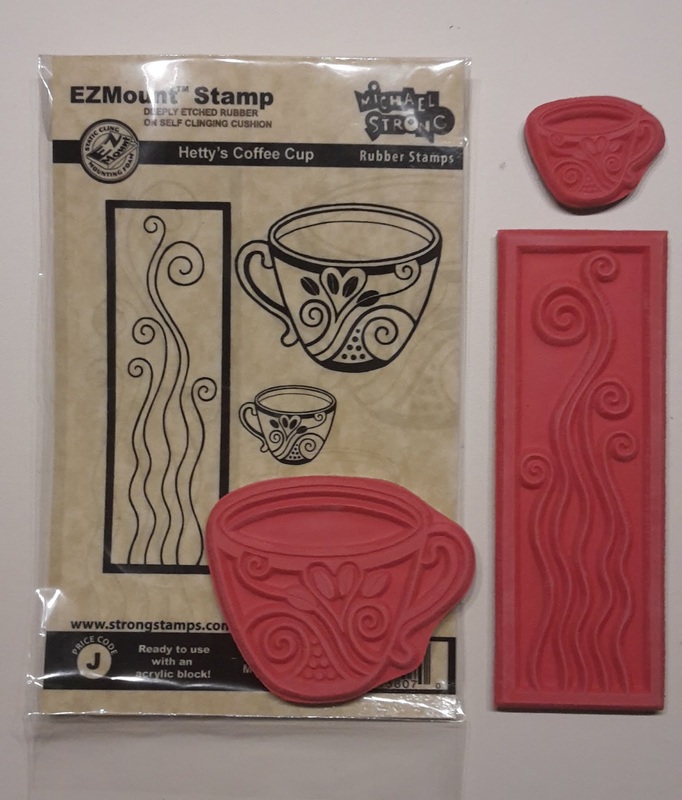 I love all of your beautiful work, and would love to win the coffee stamps!